XRECODE3 is audio converter, which supports most of the common audio formats, such as mp3, wav, flac, dsd, etc. It also supports extracting audio file from most video files as well as Audio CD grabbing. XRECODE3 can also perform CUE splitting of audio files as well as an experimental feature that detects automatically silences to split a large audio file. That is a perfect for quickly splitting large audio files, like vinyl to MP3 conversion. Moreover, you can edit the ID3 tags for each file. Among the details you can add are the track number, song title, artist and album name, year of release and music genre. Additionally, the app can download tags automatically from online sources. Also, you can add the album’s cover art from a separate menu. XRECODE3 is light on system resources with a clean and easy to use interface. It is optimized for converting multiple files in parallel in systems with multi-core CPUs. 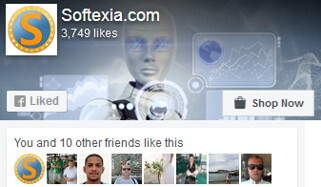 XRECODE3 allows you to save different profile settings that you create for easier conversions. Command Line parameters are supported. NEW: when some (not all) of the added files were discarded (e.g. no audio stream was found), errors will be reported at the end of the process. NEW: added option to encode per folder for multi-channel action (under Action/Encode to multi-channel file). NEW: added new pattern element %channels%. It will be replaced with the number of channels of the output file. NEW: added option to specify file name pattern for “Encode to multi-channel file” operation. FIX: fixed issue with transcoding some of DSD files form DSD128 to DSD64. Multilanguage support: Dutch, English, French, Japanese, Korean, Polish, Russian, Hungarian, Italian, Spanish, Spanish Traditional, Swedish, Brazilian Portuguese, German, Finnish, Bulgarian, Czech, Danish and Chinese (simplified) languages.